The iPod nano and iPod shuffle now meet the same fate as the iPod classic. Both legacy iPod models have been removed from Apple's website as of today. A spokesperson from Apple has confirmed that both the nano and shuffle will no longer be available for purchase. In wake of the removal of older devices, the iPod touch has received a bump in storage capacities and updated pricing. The base model now has 32GB of storage with a retail price of $199. The larger capacity 128GB edition will cost you an extra $100 commanding a retail price of $299. 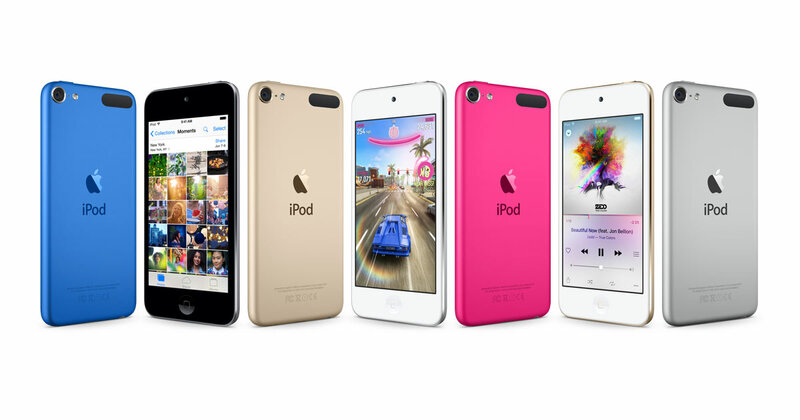 The 16GB and 64GB iPod touch models are no longer available. Both capacity options are available in the same five standard colors and the red special edition. Standard colors include space gray, gold, silver, pink, and blue. The removal of Apple's older product lines is not a surprise considering the lack of updates provided over the past several years. The iPod nano has not seen any changes since 2012 aside from new colors being introduced in 2015. The iPod shuffle has not undergone a redesign since 2010. Major improvements to iPhones and smartphones in general have largely eliminated the need to have a second dedicated media player. Sales figures for iPods have not been reported since 2015, but it is safe to say that sales are far down from what they were before the original iPhone was launched.